Cut big eggplant slice 1 inch thick and put few cut across them. Smear it with salt, italian seasoning and crushed red pepper. You can add ginger, garlic and all indian spices too if you like. To put together sandwich, apply pizza sauce on bread, your fav cheese slice and put eggplant slice and toast it on stove or oven. You can add tomatoes, spinach, onion too if you like. 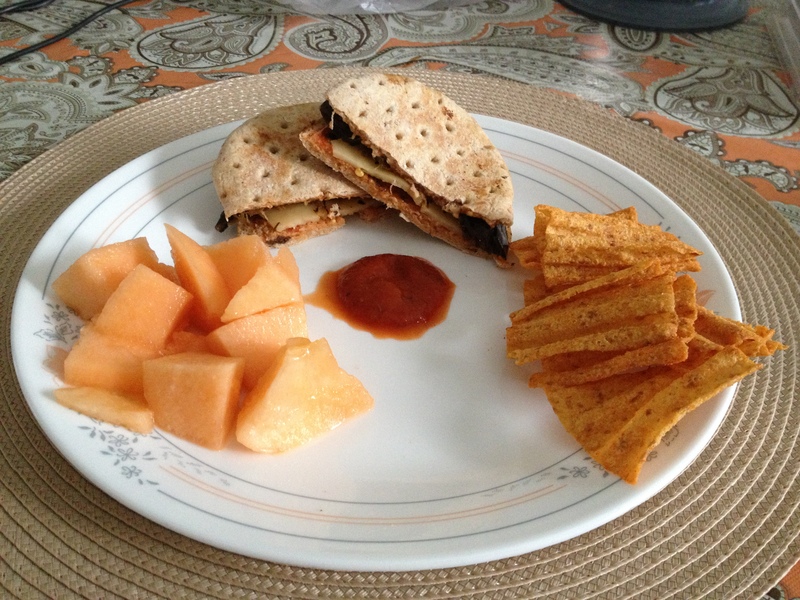 Serve it with pizza sauce on side, chips and most imp, don’t forget some cantaloupe. Healthy meal in no time. Thanks sani panini. You have a good paninis going on. Keep up the good work.